This startup is creating a worldwide map for water bottle-filling stations and drinking fountains. A	A	California startup just launched a new crowdsourced app that's being billed as the world's first global search engine for clean drinking water. 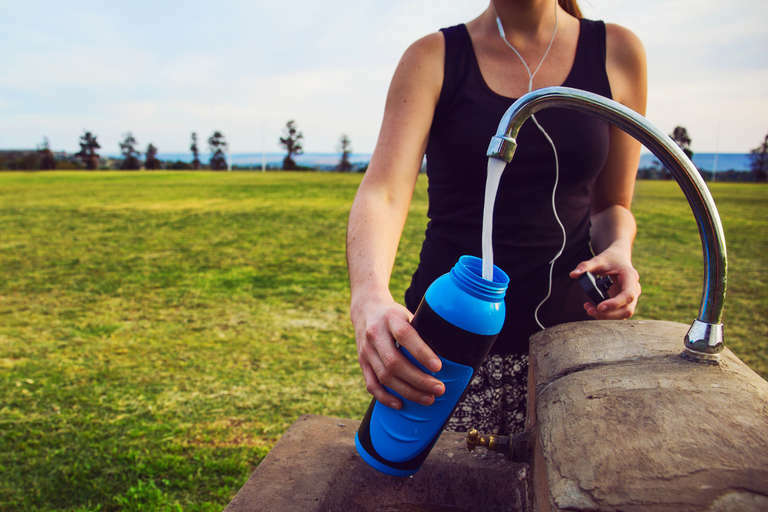 Called Tap, the system is designed to provide people with a way to easily fill their reusable water bottles and reduce the one-time use of plastic bottles. The concept is deliberately simple and straightforward. 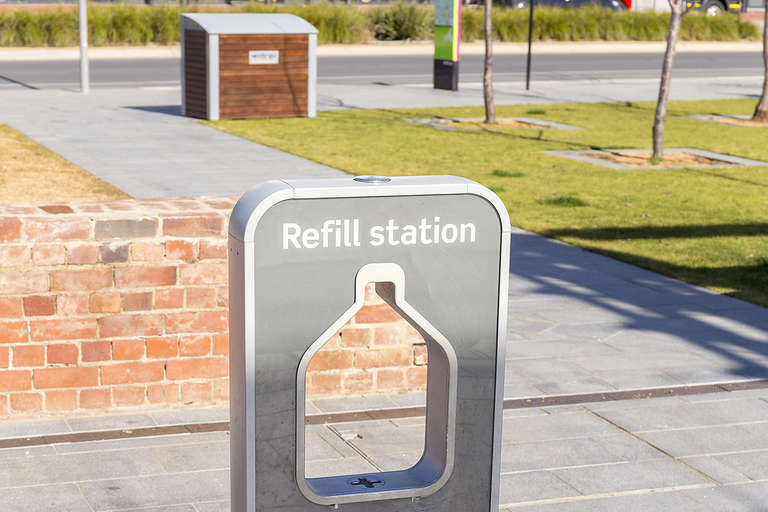 The free app works with the GPS locator on your phone to find nearby water fountains, water bottle refill stations, or “water ATMs” where people can purchase clean water for refillable containers. Local results appear on a map, just as though you were searching for the nearest coffee shop or gas station. The new app is hoping to leverage Waze-style crowdsourcing so that anyone can upload information about water sources anywhere in the world. As of its launch this week, the Tap finder system already lists more than 34,000 cafes, restaurants, and other businesses in 30 countries. 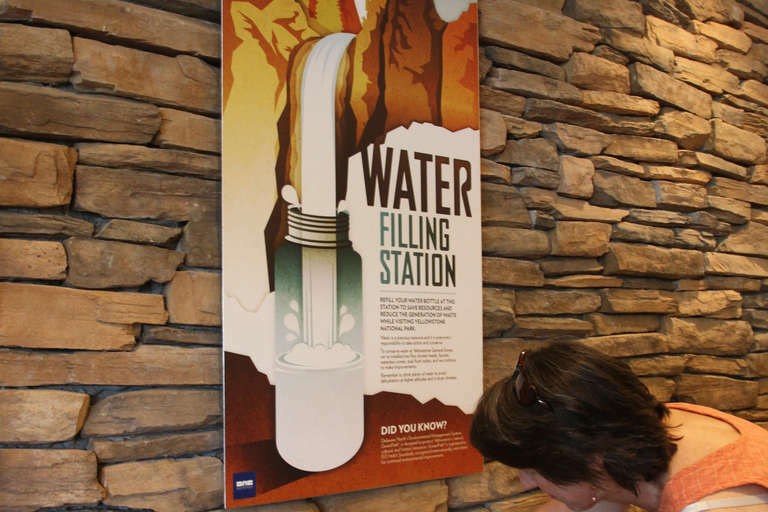 This base network of commercial locations, called the Tap Authorized Refill Network, represents businesses that have entered into an agreement with Tap to provide drinking water. Some already have Tap-branded refill stations on location, which dispense free water. Others may simply have an existing water fountain or a sink behind the counter. Some may sell sparkling water or flavored water. The app enables users to search for just free water, if that's what they're looking for. Filters on the app's search function include Drinking Fountain, Counter Service, Water Container, Water Cooler, or Water ATM. Participating cafes and restaurants that provide water will display a Tap decal on their doors or windows. 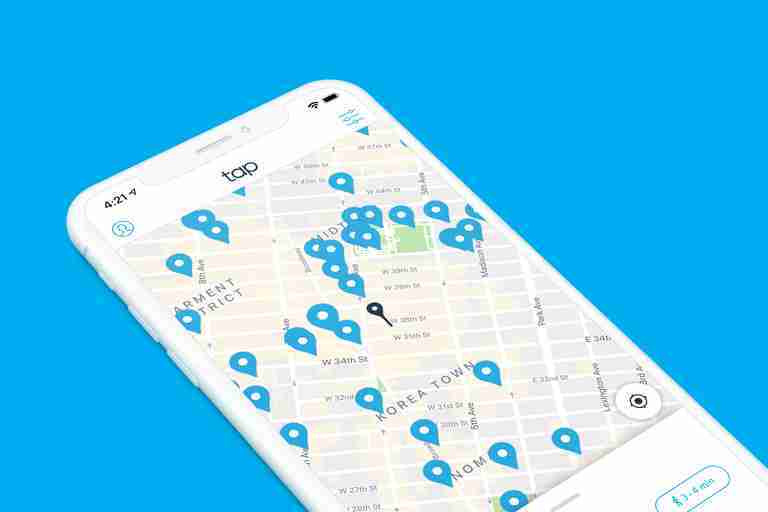 Tap CEO Samuel Ian Rosen told Seeker that stage two of the Tap plan is to expand the geomapping service, via crowdsourcing, to list additional drinking fountains and refill stations. Tap users can upload their own listings of available water sources much in the way that Waze users report road hazards or vehicle accidents. The ultimate goal of the project, Rosen said, is to create a database of “millions” of water sources and make refillable water bottles as convenient as one-time-use plastic bottles. Rosen is deeply worried about climate change and pollution. One of the main reasons he developed the Tap system, he said, is that he wanted to devote himself to finding solutions for the planet’s resource problems. Rosen referred to The Limits of Growth, a famous MIT computer study from 1972 that predicted societal and environmental collapse by 2070 due to population growth, pollution, and a decline in natural resources. But Tap isn’t a nonprofit initiative. Rosen is a capitalist, but he wants to create a profitable business model that will also reduce the use of plastic water bottles. While he didn’t offer specific details about how Tap will make money, Rosen noted that generating a global map of drinking fountains and water resources has an intrinsic value. An effect of the Tap system is to direct foot traffic to commercial locations. It also creates opportunities for advertising, Rosen said, both within the app and at the refill stations. A quick tour of the new app shows an easy to use interface. A pop-up window gives you the option to connect Tap to your smartphone's locator functions, after which Tap generates a local street map. Alas, there were still a few bugs in the system on launch day. When I tried to locate the nearest drinking fountain to my home in Chapel Hill, North Carolina, Tap directed me to a cafe in Newark, New Jersey. Ferry trip required. No kidding. But that was a momentary lapse. When I restarted the app, it showed me a half dozen places within walking distance, including a Burger King and our local bike shop. Assuming that users engage with the system and create a critical mass of listings, it’s easy to appreciate the sheer utility of having a water-finding app on your phone. In fact, Rosen said, the Tap system concept occurred to him when he was in an airport looking for a decent water refill station. He found that the water from the public dispenser tasted more than usually bad.